For many digital marketers, Facebook is a double-edged sword. 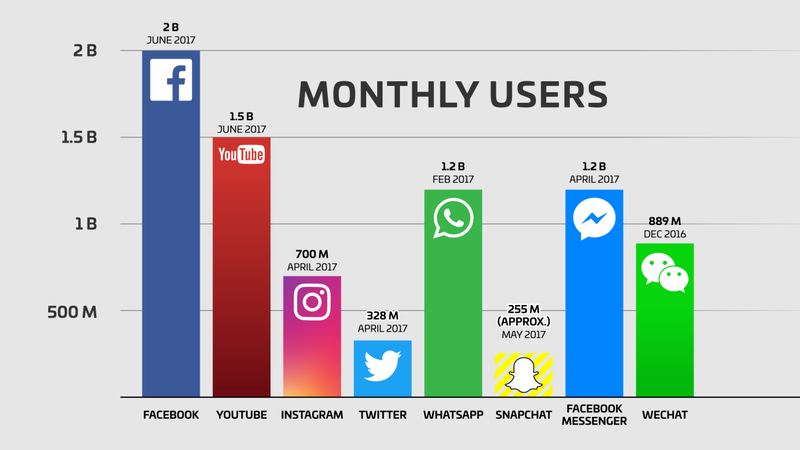 WIth over 2 billion active users, there’s no denying that Facebook is one of the most effective ways to reach as many people as possible in your market. But, Facebook is still a private company (albeit publicly-traded) and they need to boost their own profits, they can do almost anything they want. And what Mark Zuckerberg giveth, he can also taketh away. “We started making changes in this direction last year, but it will take months for this new focus to make its way through all our products. 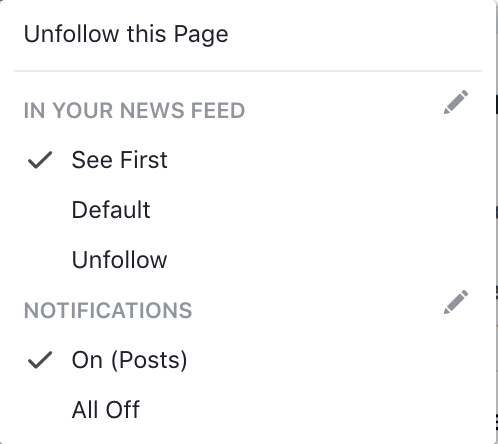 The first changes you’ll see will be in News Feed, where you can expect to see more from your friends, family and groups. Facebook is making these changes because they want interactions to be more meaningful for their users. And it’s understandable, as they always want to innovate and do things that make their product better. But, if you’re a business on Facebook, that means that your organic reach will go down. We’ve already seen this in previous changes to the algorithm. So, as an insurance agent, what do these changes mean for you? And what can you do to make sure your message shows up in more consumers’ feeds, locally? Overall, the changes to Facebook doesn’t have to be a negative for agents and businesses. If you’re prepared and know what these changes are, you can weather the storm and still come out on top. One thing is for certain, this internet is always changing, and you have to stay very adaptable to not just survive but thrive in the world of digital marketing. What is Facebook Changing with the New 2018 Algorithm? Facebook algorithm changes aren’t a new thing. They constantly update it to improve user experience and combat people who try to game the system. There was the infamous Reachpocalypse of 2016 when Facebook decided that you would only be able to get in front of 30% of your followers. But why are people, particularly digital marketers, panicking about this new change? First, probably because it’s confirming one thing Facebook marketers have been worrying about: Facebook is simply getting too crowded. There’s not enough space on the screen, newsfeeds, even ads, to accommodate every single business trying to get in on the Facebook gold rush. Because of this, people aren’t seeing updates from friends. They are missing birth announcements, graduations, anniversaries, engagements and weddings from people they care about about [note from Maria – Maybe insert a personal anecdote here? For example, I myself missed the fact that a friend of mine from New Jersey had a baby! It was embarrassing to say the least). For example, I missed an invite to a large, group gathering that my friends where hosting in LA. It was embarrassing to say the least. And perhaps this is why Facebook is making these changes. So that you don’t miss out on those special events. But then comes what people are really thinking about: Facebook is moving into a “pay for play” model. And with more than 2 billion users, I can’t really blame them. The company has an obligation to its shareholders, and other stakeholders, to maximize profits. As of the publication date of this blog, it’s still too early to actually see the exact changes that will happen, but you may have already started seeing less business pages on your own personal feed and maybe seeing posts from people you haven’t heard from in a while. Many of these algo changes are being trialed in various small markets, as of the date this blog article was published. However you can count on these updates reaching your market over the next few months. This update will “prioritize posts that spark conversations and meaningful interactions between people”. They plan to do this by putting items that inspire back and forth conversation on top of your feed. Demotion of engagement baits posts (i.e. those who ask people to comment, share or like). How Will the New Facebook Algorithm Affect Insurance Agents? Business pages will perhaps be the most affected by these algorithm changes. If you’ve been running a business page for a while now, you’ve probably been through the different “reachpocalypses” of the past couple of years. You already know that Facebook algorithm updates aren’t anything new. You may even remember the heyday of Facebook pages when anyone who liked your page would see anything you posted. But then, Facebook made changes in 2014 and organic reach plummeted. They did it again several times after this. So, much like the previous updates, insurance agents who primarily use business pages will be affected. They will definitely see even more decline in their organic reach, even though they may have hundreds of page likes. What Can Insurance Agents Do to Increase Their Reach? Hope isn’t as lost as it may seem. There are several things you can do to still be able to reach out to your audience. Some can be immediate changes, while others involve thinking differently about your social media strategy. Pay Facebook to “Boost” your post. Yup, one of the easiest ways to have people see your post is to pay Facebook. Facbook’s Pay-to-Play model is still one of the most cost-effective forms of marketing on the planet. Encourage people to “Follow” your post aside from just liking it. They can do this by going to your page and clicking on the “Follow” button. You can go a step further and ask them to click on “See First” so they always see your posts right away. Using your personal page to also share / promote business page content. This may vary based on your compliance rules, so make sure this is okay with your corporate office. Diversify your marketing spend. There are other popular social networks you can use, like Twitter, Linkedin, Yelp and the new Google Maps sponsorships. Share more engaging content. Facebook wants a better experience for its 2 billion+ users, so you have to show them that your content is worth showing to their audience.. You shouldn’t always post about insurance (in fact, rarely should you post about product-specific items). However I do like the idea of agents promoting “community events” that they’re supporting. These events encourage the type of conversation that Facebook is hoping to achieve more of inside the news feed. , Create original content that people will want to see and share. These changes aren’t the end of the world. Any business worth their salt, on and offline, will make adjustments to accommodate the needs of their customer base–they have to stay relevant to continue profitable growth that’s sustainable. In the U.S., consumers will always win the war, rightfully so. Facebook’s latest algorithm updates are an opportunity for SMBs, and digital marketers, that study these changes and make their adjustments, accordingly.